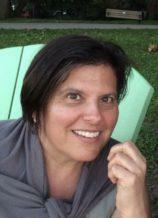 Gwen Shandroski, Expressive Arts Therapist, Registered Psychotherapist, Speech-Language Pathologist, M.Sc, S-LP(C), R.P. Insurance Details: Clients pay and then get reimbursed for their payments. I offer receipts which are accepted by insurance companies covering psychotherapy. When working as a relational therapist, I am most interested in determining the client's history in relationships; the way they have lived and been in the world. We use family trees (genograms) to determine the interconnectedness between generations and my client's childhood experiences. My training in attachment theory helps me understand how early experiences might be playing a part in my client's life right now. I work with individuals and couples and families/groups of people and both children and adults. My focus is on client-centered interaction, so clients begin by discussing what is most relevant to them at this moment. Depending on the current issue, we may look at patterns and influences from the past. Often the difficulty the client is experiencing has echoes to an earlier time and clients are unaware of the connections. Supplying the emotional landscape to a client's history can be revealing and a learning experience. Many clients have difficulty speaking about these early events with emotion or with an awareness of the impact of relationships. Therapy is a time of reflection and investigation. My approach is not solution-focused, in terms of giving advice or suggesting exercises. Often there is more to feelings than just finding out how to reduce their impact. The benefit is realized through the therapeutic relationship that develops between client and therapist. The client has the chance to hear what the therapist notices and to what she draws attention. This way, new discoveries can be made. The use of art in a variety of disciplines, including painting, drawing, drama, and voice, helps clients give voice to experiences that are confusing. Average length of therapy can be between 10 sessions and 2 years or more. Often clients may not know what to expect during the initial months of therapy. Often it is in looking back over the course of therapy that clients determine what was helpful or what they were learning. At the start, clients might feel that something is "happening" but it is not clear how this is helpful. With children, I work with parents first. The [beginning to] the initial goal of this work is to develop a relationship with the parents so that I understand their psychological landscapes, before we get to work directly with the child. Time is spent talking to understand how decisions are made in the relationship and what situations are difficult. I have worked using a family therapy model where I provide individual therapy to several members of a family and then work with them together to enable clearer communication during the family sessions. I am interested in how strong feelings are dealt with, as this is one of the reasons - the lack of expression or the way feelings are being expressed - that brings clients into therapy. For instance, the client and I examine how the client can be clearer with expressing anger and listening to other's anger. In our fast-paced world, people are looking for ways to maximize their efficiency. Therapy can seem long and vague. To clients looking to deal with their emotions, who have tried cognitive behavioural therapy or/and medications, I recommend, along with these techniques and approaches, they try relational therapy, for at least 10 sessions. Finding the right therapist is important so, if possible, see a few to decide if the fit is right.